The digital photos and videos of your dentition and surrounding tissues will enable a frank, open and informed conversation between you and your doctor. The CEREC milling and grinding units and the CEREC software are optimally synchronized with one another. Grinding and milling the restoration design is extremely precise, giving the restorations smooth surfaces. Even very fine fissures are very precisely prepared and the edges are very even. CEREC Omnicam’s revolutionary design features a completely new, ergonomic handpiece and special optics to guarantee un-surpassed intraoral access. New ColorStreaming allows continuous capture of the oral cavity as well as displaying the 3D data in full color – an industry first. Dentsply Sirona, like no other company in the dental sector, stands for the intelligent integration of products and systems to benefit dental professionals. Providing optimal support and ensuring a well thought out workflow. 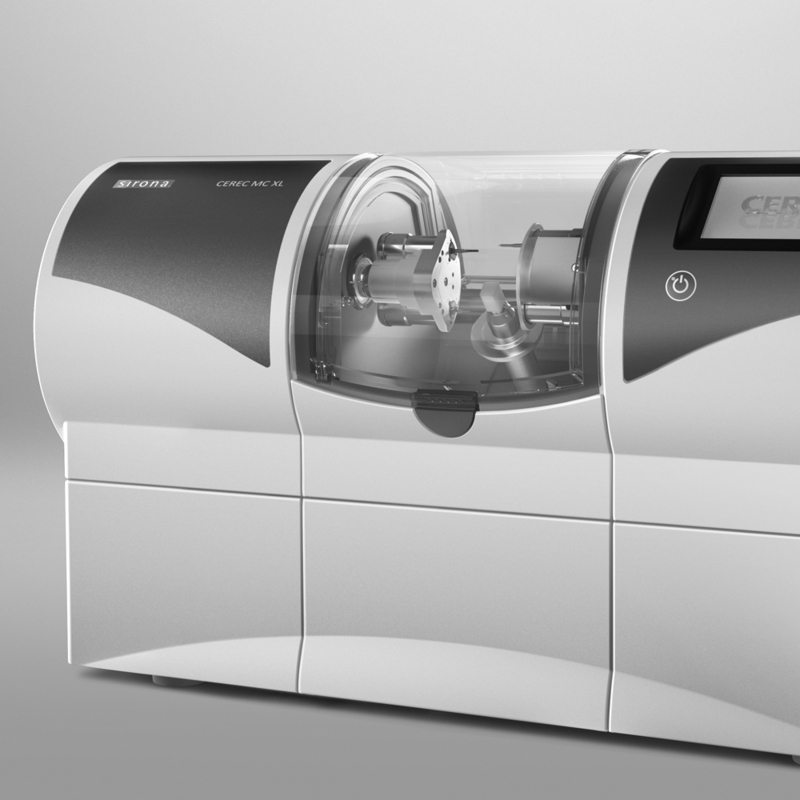 inLab MC XL is the fast wet milling and grinding unit with many production options for your dental laboratory. You benefit from high speed and precision and can switch from grinding to milling in just a few steps. The large selection of materials and many uses give you particularly flexible and efficient production options. 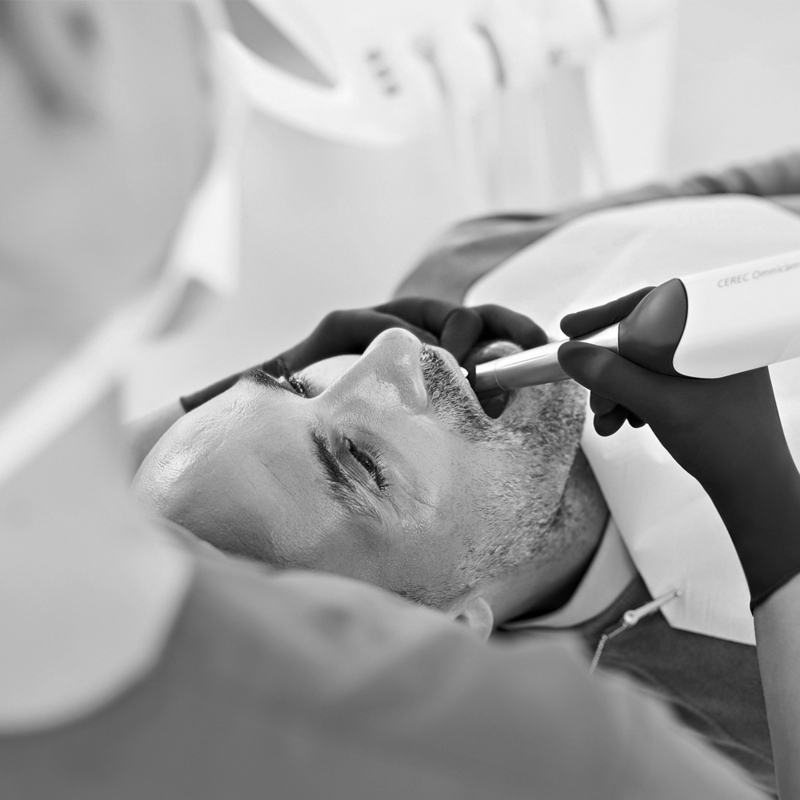 Digital impressions enable to complete implant treatment in a single treatment session. Customized abutments provide greater clinical safety than standard abutments. In addition, the tooth-colored abutment ensures a natural look. A digital impression of the implant is made with CEREC Omnicam or CEREC Bluecam. The abutment and crown are designed with the CEREC software (in a single step). The final or temporary restoration is milled with the CEREC grinding and milling unit.